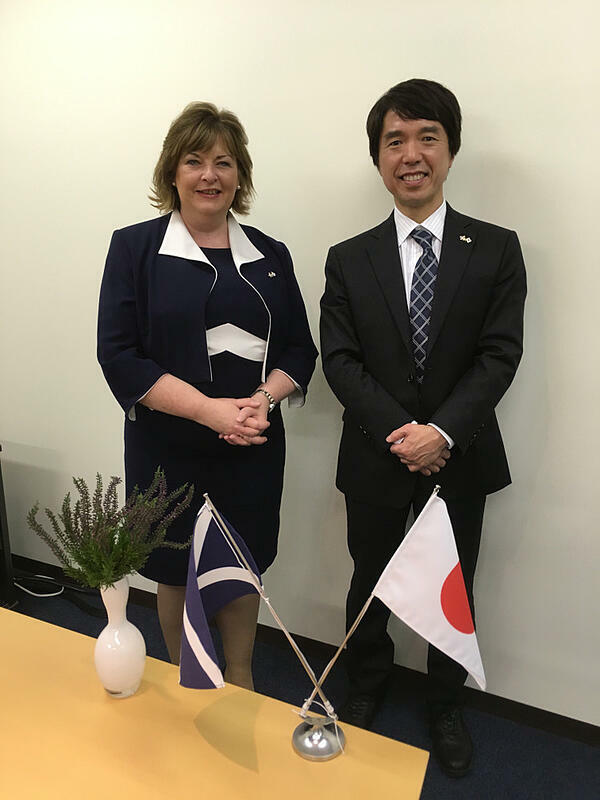 REPROCELL Inc. (Japan)’s CEO Dr Chikafumi Yokoyama had the honour of meeting with Fiona Hyslop, Cabinet Secretary for Culture, Tourism and External Affairs for the Scottish Government, during her visit to the Scottish Enterprise Tokyo office, today (14 February 2017). At the meeting Dr Yokoyama gave a presentation introducing Ms Hyslop to REPROCELL and its European activities. He highlighted REPROCELL Europe Ltd’s Advanced Drug Discovery Center, which is based in Glasgow, Scotland, and its research in personalized medicines.